We are manufacturing FRP Scrubberto various cities like Delhi, Noida, Ghaziabad, Faridabad, Gurgaon, Sonipat, Ambala, Karnal, Bhiwadi, Neemrana, Bulandshahr, Kanpur, Lucknow, Varanasi, Allahabad, Dehradun, Haridwar, Chandigarh, Shimala, Panchkula, Ludhaiana, Gwalior, Jhansi, Agra & many more. We are reckoned amongst the most trusted name engaged in offering a superior quality range of Plate Scrubber. This plate scrubber is made of PP + FRP, PVC FRP in various diameter & heights. Also, the entire range of plate scrubber is checked by quality experts in order to dispatch its defect free range. Our offered plate scrubber is used for removing particulate and contaminants. 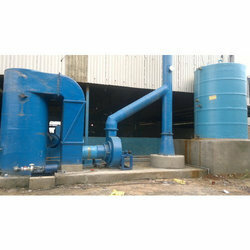 We are an eminent manufacturer and supplier of high quality Air Pollution Control System that is widely demanded and appreciated for its effectiveness and efficiency. The offered control system is available in several specifications in order to meet the requirements of customers. Offered control system is used for galvenizing plant, GI pipe plant and pickling plant. We provide this control system at competitive rates within a stipulated time frame. 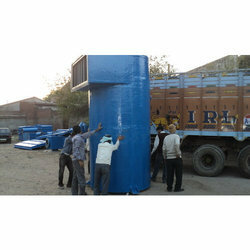 Looking for FRP Scrubber ?